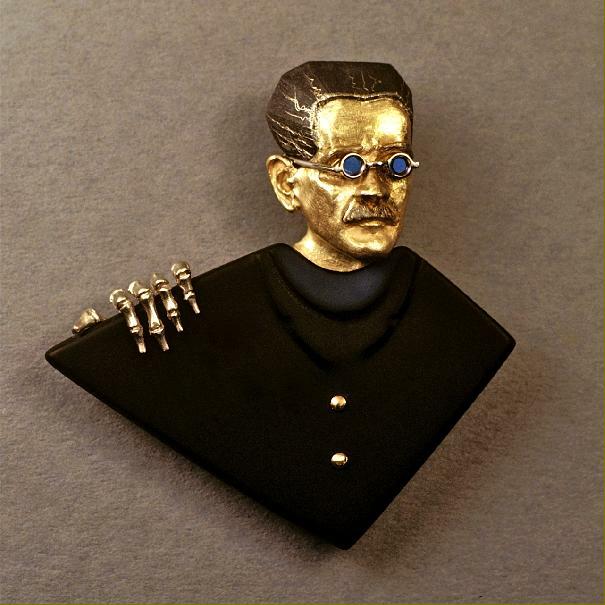 18 karat yellow and white golds, Platinum eye-glasses with Titanium lenses, oxidized Sterling silver hair. Property of the Oakland Museum of Art. nudging us to be aware of the fleeting nature of life. Remember Death, learn to live.